In 2013 more than 42,000 Americans will be diagnosed with oral cancer and approximately 8,000 to 10,000 will die of the disease. According to the National Cancer Institute (NCI) oral cancer, which is more common than leukemia, Hodgkin’s disease, and cancers of the brain, liver, bone, thyroid gland, stomach, ovaries, and cervix, is a major cause of death and disfigurement in the United States. According to the Centers for Disease Control and Prevention (CDC) located here in Atlanta, GA., approximately 75% of all oral cavity and pharyngeal cancers—mouth, tongue, lips, throat, nose, and larynx— can be attributed to the use of tobacco related products. Those who choose to use cigarettes, cigars, pipes, chewing tobacco, or snuff, place themselves at a much higher risk of developing oral cancer and other diseases, such as heart disease, emphysema and chronic bronchitis. With the level of prevalence described above, the oral cancer screening routinely performed during one’s hygiene and dental examination is one of the most critical preventative components of your bi-annual visits to the dentist. If you find anything out of the ordinary during a self-examination—particularly anything that does not heal or go away in two weeks, or that has recently changed— make sure you discuss it with your dentist or physician. For those who have found themselves without work or insurance, we offer free cancer screening, so please feel free to contact us if you have any questions or concerns. We would like to give back to the Atlanta community as we approach the holiday season. Source: National Institute of Dental and Craniofacial Research’s (NIDCR) National Oral Health Information Clearinghouse in partnership with the National Cancer Institute, the National Institute of Nursing Research, the Centers for Disease Control and Prevention, and the Friends of the NIDCR. 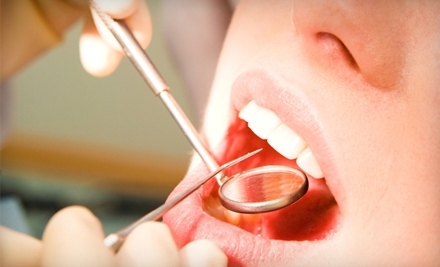 In 2011 more than 30,000 Americans will be diagnosed with oral cancer and approximately 8,000 will die of the disease. According to the National Cancer Institute (NCI) oral cancer, which is more common than leukemia, Hodgkin’s disease, and cancers of the brain, liver, bone, thyroid gland, stomach, ovaries, and cervix, is a major cause of death and disfigurement in the United States.